When it comes to traveling and camping, planning can only take you so far. As you probably already know, accidents and emergencies can happen anytime and anywhere, and we want you to be prepared. Here are 5 Emergency Accessories you should have for your next RV trip. Road Hazard Kit – Before you even get to your destination, there’s a good chance you’ll have to do a bit of driving. Don’t let your trip get ruined by an unexpected bump in the road. Make sure you have a road hazard kit, complete with jumper cables, tow rope, tire repair, flashlight, etc. You can purchase these items separately or as a kit. Roadside Assistance Plan – While it’s not technically an “accessory,” having a good roadside assistance plan designed specifically for RVs could really come in handy. These plans can pay for towing, lodging during repair, flat tires, etc. RV roadside assistance plans are offered by most of the top insurance companies including Good Sam, AAA and more. Emergency Food Kit – Bad weather, power outages, a flat tire, you name it. There are many reasons why you may not get to your camping destination as planned, and you’ll have an RV full of unhappy people if you didn’t think ahead. Pack an emergency food kit with high-calorie bars, drinking water, and non-perishable snacks that can get you through a long day (or two). Emergency Lighting – What’s worse than breaking down on the side of the road? Breaking down in the middle of the night with no lights. Make sure you pack flashlights, light sticks, emergency candles, and lanterns so you can get your RV repaired as quickly as possible. These will also come in handy if there’s ever an outage at the campground, or you just want some mood lighting out by the campfire. Hand-Crank/Solar Radio – A portable radio may seem silly when you can get all the information you need on your phone. However, you may not always have a phone signal while you’re driving on back roads, and it’s important that you’re aware of any bad weather coming your way. You can also opt for a battery-powered radio, but make sure you have spare batteries on hand. 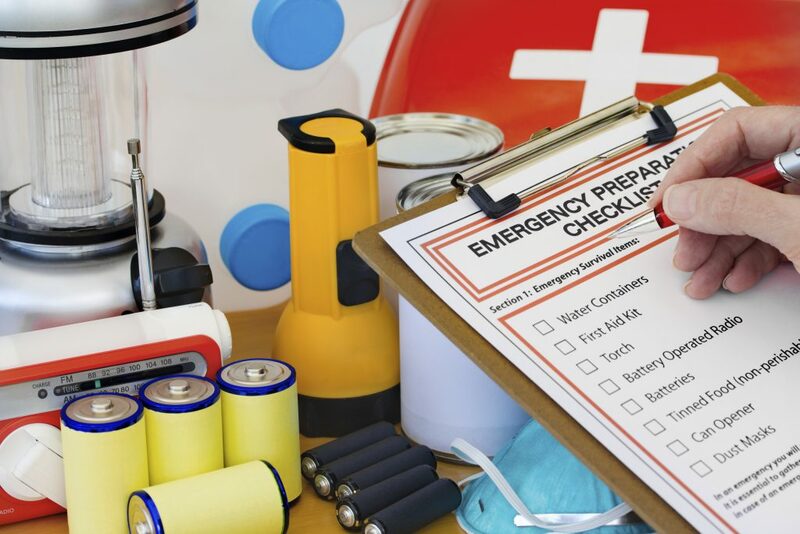 Hopefully you’ll never have to use any of the emergency equipment in your RV, but if you do run into some trouble on the road or at the campground, you’ll be glad you were prepared. 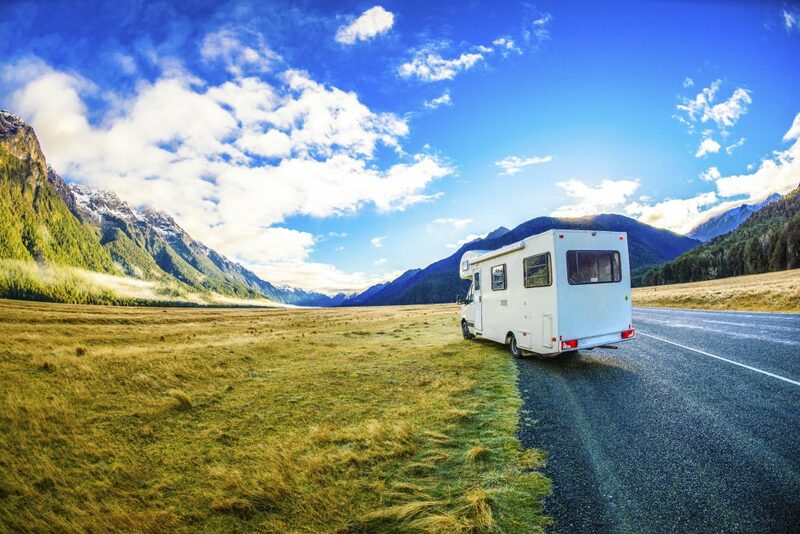 To prevent any potential (non-weather related) issues, make sure your RV is in great condition before every long road trip. Do a thorough walk-through of your unit, or visit the service department at Crossroads Trailer Sales to let the experts help you out. If you eve get caught in a sticky situation, call our roadside assistance team at 856-697-4497 and we’ll come to you. Crossroads Trailer Sales is the #1 RV and Trailer Dealer in New Jersey Since 1988. Keep checking our blog for the latest RV news, featured units, tips and tricks, and more! Don’t forget to like us on Facebook, Instagram and Pinterest too. This entry was posted in RV Advice, Tips and Tricks and tagged accessories, emergency, RV advice, rv travel by admin. Bookmark the permalink.